This Klingon collects coins! Where's the safest place on the Enterprise? Right behind Worf! 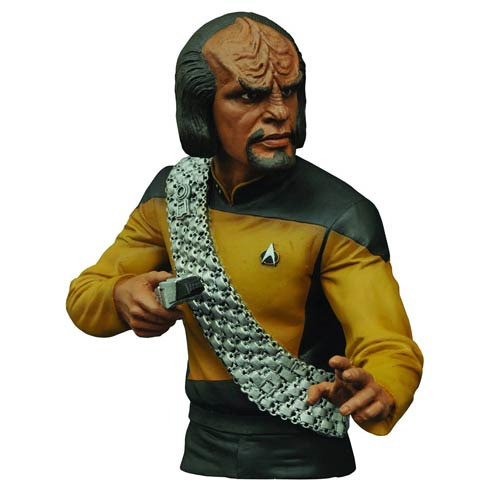 Make your money that safe by putting it inside this 7-inch tall vinyl bust bank depicting the famous Klingon crew member, with his phaser at the ready. With detailed, bust-quality paint applications and a coin slot on his back, this Star Trek Select The Next Generation Worf Bust Bank is torn between two cultures - does he belong to both, or neither? You decide! Ages 8 and up.